In 2013, a Virginia man, Linwood Lambert,‬ was tased to death for running into a hospital emergency room that police officers drove him to. MSNBC recently obtained video footage of the incident. Click here to view the video. Lambert was not suspected of a crime and was not armed. He was only taken into custody to be transported to the emergency room for medical care. Lambert escaped from the patrol car when they arrived at the hospital and attempted to run into the emergency room. Although the officers only picked Lambert up to bring him to the emergency room, several of the officers tased Lambert for running towards the emergency room entrance. While Lambert was subdued and laying on the ground right in front of the emergency room entrance, officers can be heard on the video saying “I’m going to pop you” and “I’m going to light you up again.” Rather than bring Lambert into the emergency room for treatment as originally intended, the officers restrained him and placed him in the back of a patrol car again. While Lambert was restrained and seated in the back of a patrol car, the officers continued to tase him because he was not sitting up straight. When they arrived at the jail, Lambert was unresponsive. The officers then drove Lambert back to the same emergency room where he was pronounced dead on arrival. 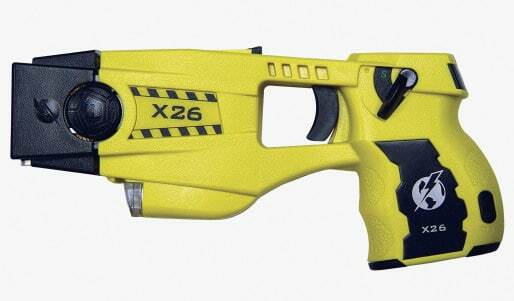 The officers fired their tasers a total of twenty times. Lambert’s family is pursuing a claim for this unspeakable civil rights violation. The Berman Law Firm represents individuals who have suffered the indignity of police misconduct and civil rights violations by police officers and private security officers. See our Civil Rights practice area page for more information about pursuing a claim for police misconduct and civil rights violations. If you believe you have been the victim of police or private security misconduct or any other civil rights violation contact us for a free case evaluation.